Calling all Cowboys, Cowgirls, and Space Rangers…uPaint is hosting a painting party that you will not want to miss! 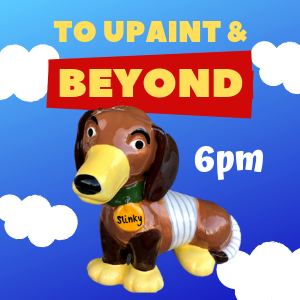 The mission will be to paint a Slinky dog bank, make a fun character clay necklace or keychain, create crafts, and eat pizza and snacks! Grab a friend and save your seat today!